Image W x H 12" x 9" ? 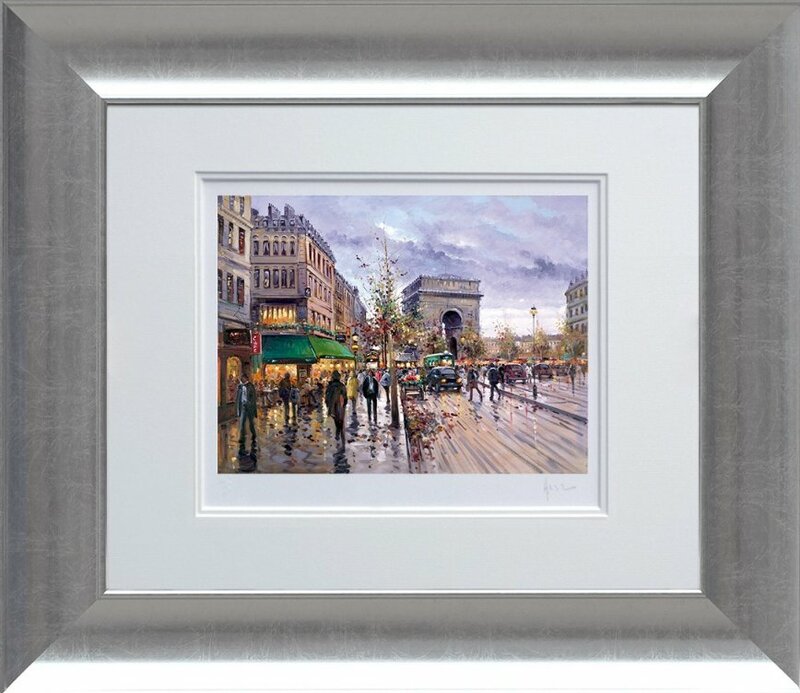 With the instantly recognisable Arc de Triomphe rising up from the equally identifiable Champs Elysees forming the backdrop to Henderson Cisz’s brand new autumn 2018 giclee on board reveal, it doesn’t take a leap of faith to visually determine just where the acclaimed contemporary urban landscape artist’s latest inspiration has been sought. 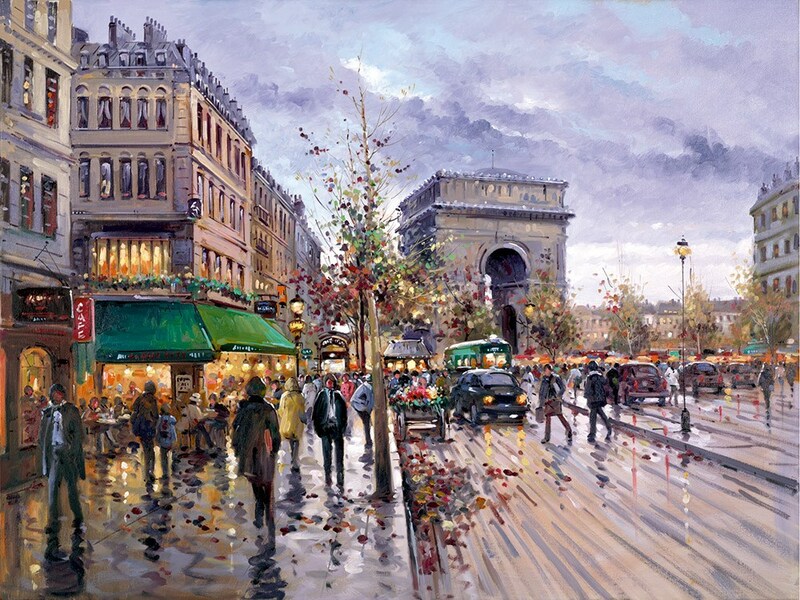 ‘Postcard from Paris’ satisfies the collective curiosities of anyone with any lingering doubt in their heads, as we pore over the sublimely atmospheric new limited edition the best-selling Cisz has treated us to this season. Make it your business to talk with us right now, to ensure you don’t miss out on this hand-signed one-of-195 board with slip iteration. Framed W x H: 26" x 24"
Framed W x H: 25" x 23"